Asian motors GFM18 motorcycle spare parts magneto coil stator coil! We can make with your samples and requirements! Our motorcycle magneto stator coil,made by qualified copper and steel,with features of high duration and high anti-temperature,has been exported to many different clients and countries.We have exported motorcycle parts of GY6 to African countries,South american countries with large quantities. We understand every single features of magneto coil. 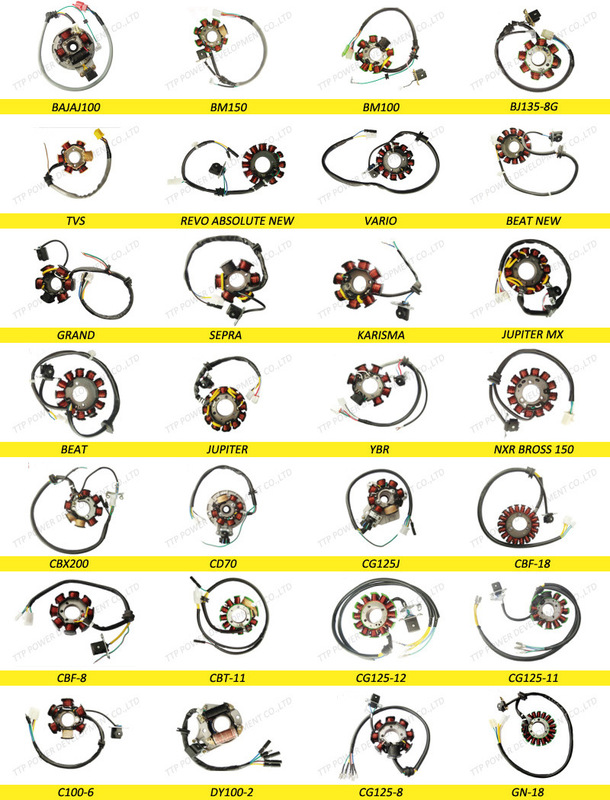 If you have any requirements about stator,pls let us know! More motorcycle parts we can supply! 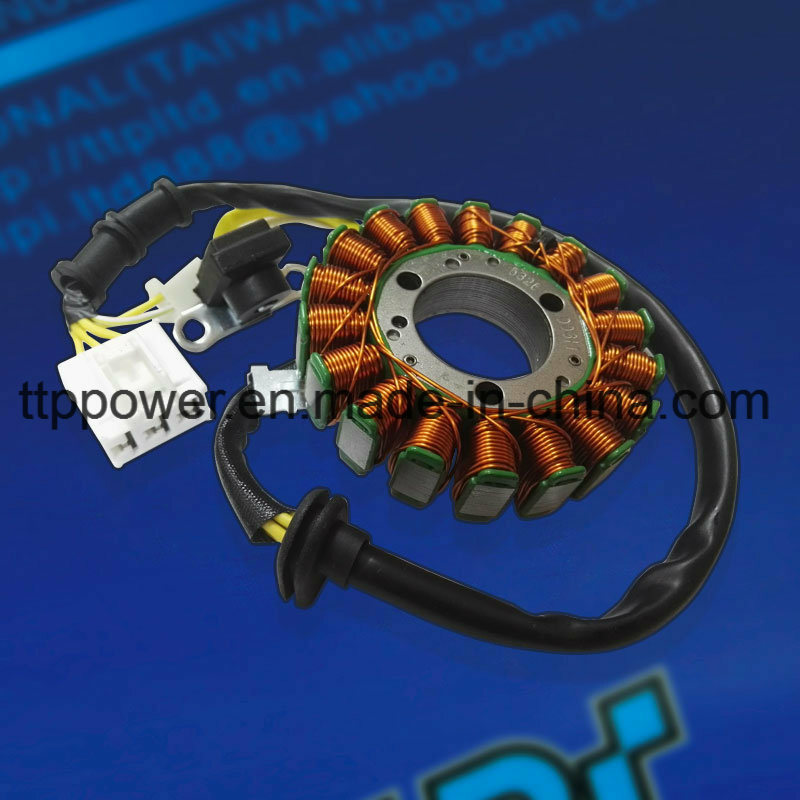 TTP POWER DEVELOPMENT(GUANGZHOU) CO.,LTD was founded in 2001s,which is responsible for the work related to assembly factories,repair shops and after-sales services. We mainly engaged in high-quality motorcycle spare parts exportation. With outstanding brand LPI,RACING BEE,TTP exports large quantity every year to European countries,South American countries,Middle East countries and Southeast Asia countries,etc. We offer different genuine parts for different motorcycle models,motorcycle engine assembly,motorcycle engine parts,motorcycle body parts,motorcycle accessories,also parts for POCKET BIKE,ATV,SCCOTER. With very kinds of variety parts,our clients fond of making long term corporation replationship with us. The products are in high quality,beautiful design and reasonable price,with support of innovating R&D,the company always focuses on quality of products and services for every important customer and makes it as its whole life purpose. Â Asian motors GFM18 motorcycle spare parts magneto coil stator coil!